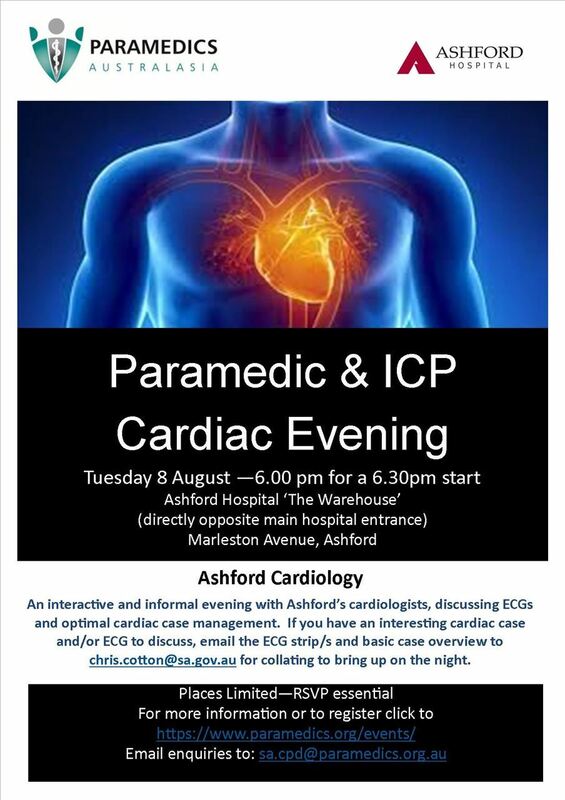 PA-SA and Ashford Cardiology are hosting an Paramedic and ICP cardiac evening. Three cardiologists will be presenting followed by a panel discussion, with the opportunity to discuss and review pre hospital cardiac cases and ECG's. This event is limited to 50 seats and will be open for Full Members. Associate, Volunteer and Student Members are invited add their names to the waiting list and will be notified two days before if seats are available.